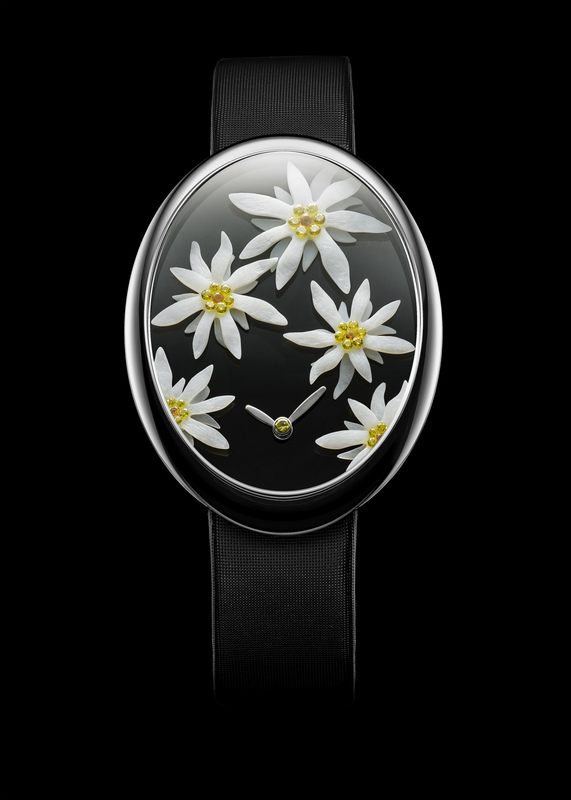 “Edelpure” is a timepiece that celebrates the freshness and nobility of the Edelweiss flowers. These petaled alpine white stars reflect the fresh untouched snow of their mountains, hinting to new beginnings. 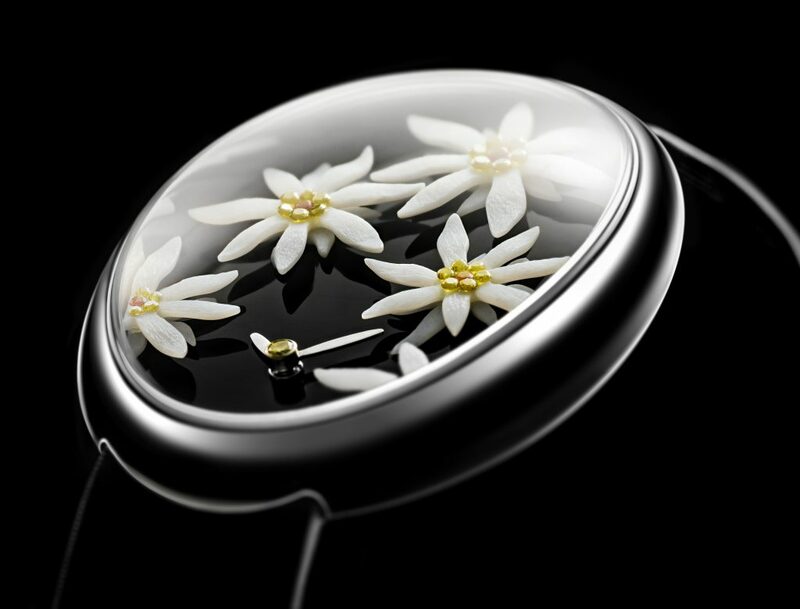 Admire the flurry of petals all masterfully carved from Coco mother-of-pearl, winking above a sleek mother-or-pearl base.